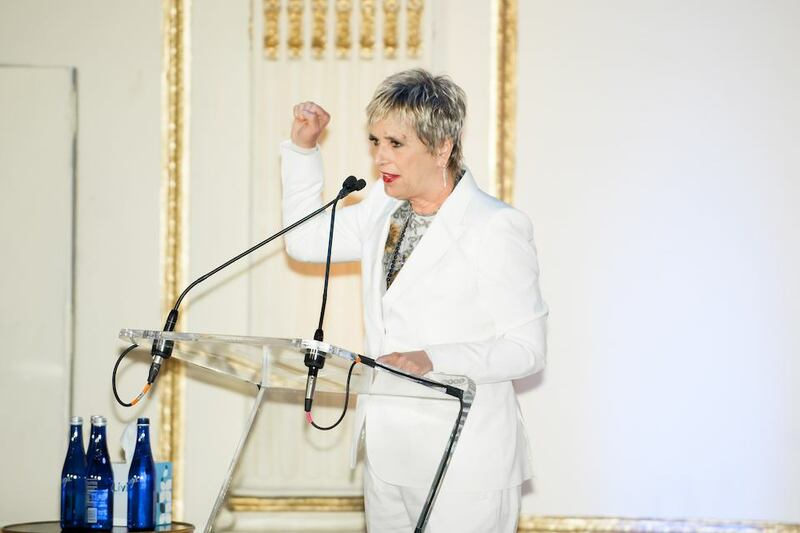 Writer, playwright and activist Eve Ensler delivers the Keynote address at the 25th Anniversary Women Mean Business Luncheon benefiting the First Step Job Training Program for homeless and low-income women on April 12, 2019 at The Plaza Hotel in NYC. Tonight, 63,615 men, women, and children will sleep in New York City shelters, and thousands more will bed down on the streets. A new survey conducted by Win and HarrisX indicates that New Yorkers recognize the severity of this crisis and agree that we must do more to solve homelessness in New York City. A full 26 percent of respondents reported that they have personally experienced homelessness, and 18 percent know someone who has been homeless. One of the key findings is that most New Yorkers support shelters opening in their neighborhoods – suggesting that the vociferous protests against new shelters represent only a vocal minority of community members. The Coalition’s annual Compassionate Communities Award highlights neighbors who respond to shelters not with resistance but with generosity and kindness. The poll also shows that a strong majority of New Yorkers understand the urgent need for more affordable housing to truly address homelessness: 79 percent support requiring new housing developments to set aside a certain number of apartments specifically for homeless families. The House Our Future NY Campaign, led by Coalition for the Homeless and 64 partner organizations, has been calling for this commonsense solution to homelessness for more than a year. Specifically, we are urging Mayor de Blasio to set aside 30,000 apartments, including 24,000 newly constructed apartments, for homeless New Yorkers out of his 300,000-unit Housing New York 2.0 plan. Sixty-two percent of the Brooklyn residents polled support the idea of a homeless shelter opening in their neighborhood. An even higher 92 percent believe that shelter should be provided to all New Yorkers who need it. The numbers citywide were similar. Fifty-nine percent [of] New Yorkers said they support the idea of a homeless shelter opening in their neighborhood. “It is heartening to hear that so many New Yorkers understand and support the need for more shelters for our homeless neighbors,” said Giselle Routhier, policy director at Coalition for the Homeless. But Routhier believes that shelter is only a temporary solution, and called on Mayor Bill de Blasio to build more permanent housing for homeless New Yorkers. “The only real solution to record homelessness in New York City is more affordable housing,” Routhier said. The Coalition for the Homeless has called on the mayor to build 24,000 new units of housing for homeless New Yorkers, Routhier said. 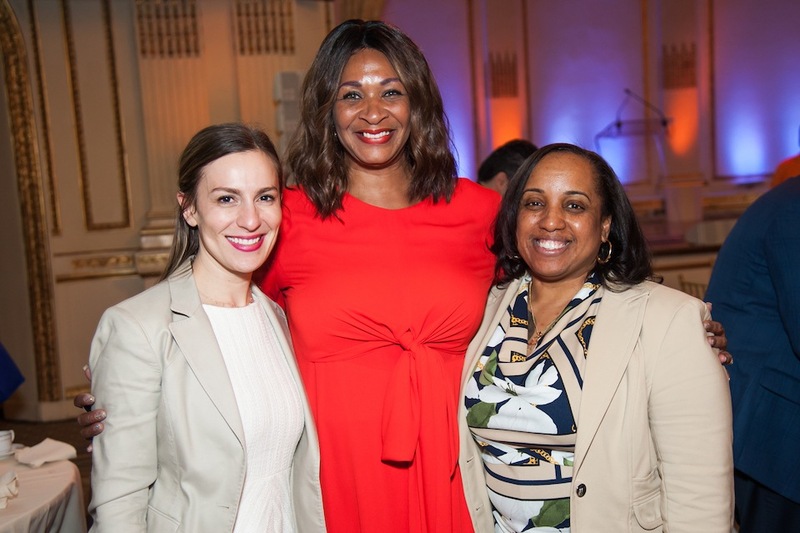 On Friday, April 12th, nearly 450 business and community leaders joined First Step graduates, staff, and supporters past and present to celebrate the 25th anniversary of the Women Mean Business Luncheon. 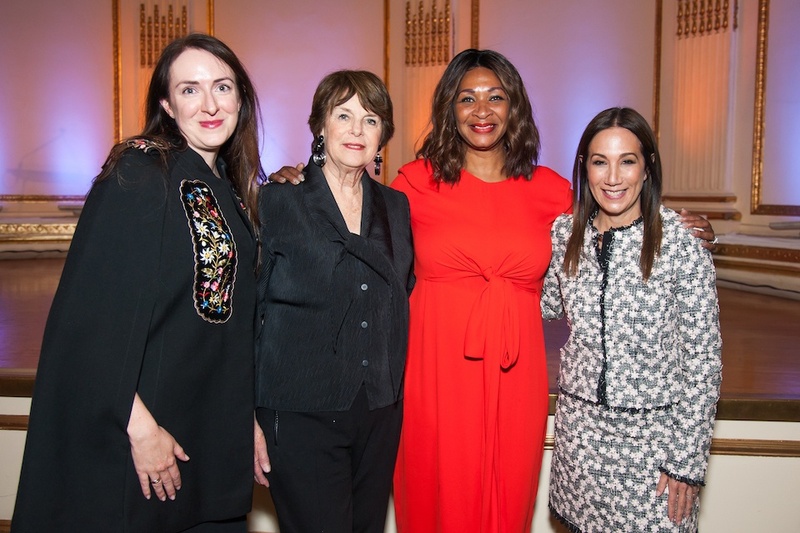 This year’s special celebration raised nearly $450,000 for the Coalition’s First Step Job Training Program for homeless and low-income women. This year we welcomed back Lisa Evers, Fox 5 News reporter, as our Emcee. She opened the event by lauding the Coalition’s programs and advocacy work and explaining how the First Step Job Training Program helps empower homeless women to take control of their own lives. Coalition for the Homeless Executive Director Dave Giffen then took the stage to reflect on the devastating growth of homelessness in New York City over the past 25 years, and how the First Step Job Training Program continues to give homeless and low-income women a way to leave homelessness and poverty behind forever. He went on to recognize the First Step graduates in attendance and the extraordinary impact of the more than 960 volunteers who give their time and talents to help support the students and graduates of the program. We were also joined by New York State Senator Alessandra Biaggi, who once served as a mentor in the First Step Program. She spoke eloquently of the need for the State to fund the proposed Home Stability Support program and pass rent reform laws that will protect low-income households. She then introduced a video featuring Cynthia, a First Step graduate. In honor of the enduring legacy of First Step, our featured graduates were two women whose lives were transformed through their long relationships with the program. Our graduate speaker, Marisol, found First Step after early struggles with domestic abuse. Through First Step, she was able to not only secure a long term, living wage job but also move up in her company into a management position and find ways to give back to the program that helped her so much. This year’s First Step video featured Cynthia, who always knew she could come back to First Step for help and support throughout the many twists and turns of her life. It was through the continuous support of First Step and its alumni Graduate Services that Cynthia was able to find her dream job as an office coordinator at Bumble and bumble, part of the Estée Lauder Companies. Cynthia then presented the Estée Lauder Companies with the 25th Anniversary Corporate Heroes Award. 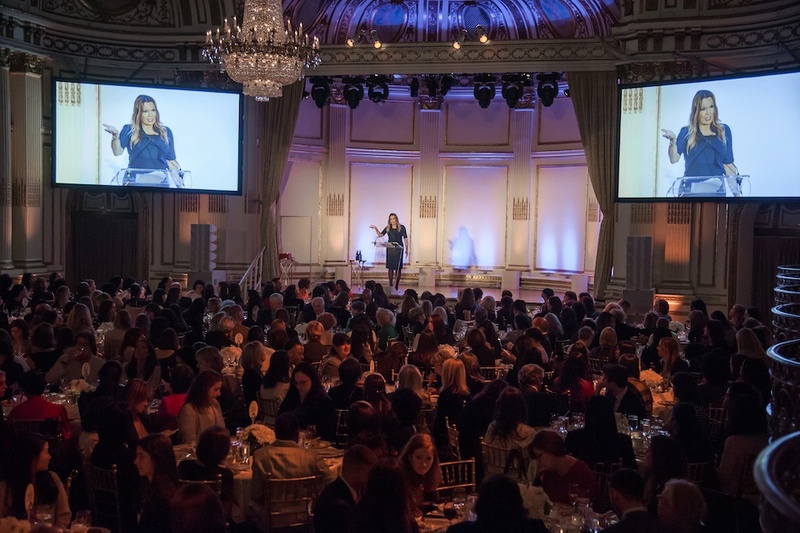 Estée Lauder was an early and enthusiastic supporter of First Step and the Women Mean Business Luncheon, and over the years they have provided immense support to the program – hosting corporate days, conducting professional development workshops, donating beauty products, offering makeovers, serving as mentors, and hiring interns and graduates. 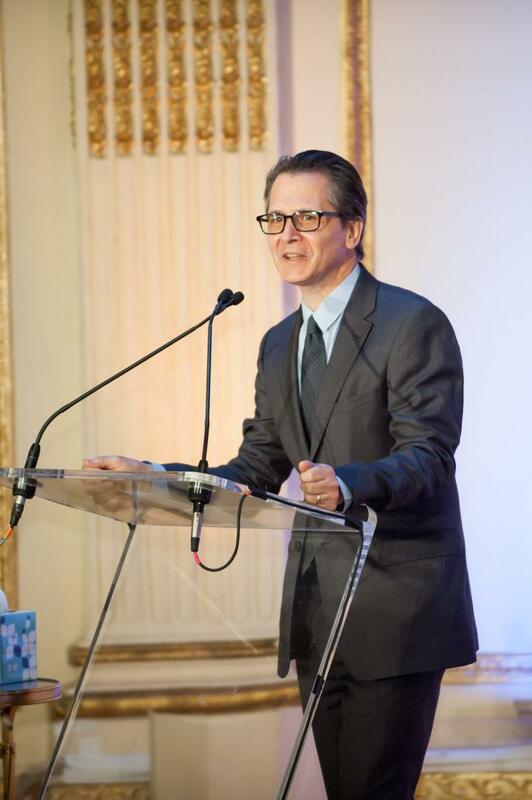 The award was accepted by Estée Lauder Companies Group President Jane Hertzmark Hudis. The luncheon culminated in a fiery keynote speech by author, playwright, and activist Eve Ensler, who spoke movingly about her experiences working with homeless women and families in the 1980s during the AIDS epidemic, poverty, the affordable housing crisis, and the devastating effects of domestic violence on women everywhere. We would like to thank the attendees, sponsors, the Coalition’s board of directors, the First Step Advisory Board, and the Luncheon Committee for making this year’s 25th anniversary Women Mean Business Luncheon so memorable. Marisol and Cynthia’s stories are just two examples of the life-long support provided to homeless and low-income women by the amazing staff of the First Step Job Training Program. This program’s unique combination of hard skills training, workshops, internships, job-readiness training and social services support has allowed hundreds of women from over 151 classes (and counting) to thrive and find a way out of homelessness and poverty for themselves and their families. It is your support that has helped make First Step the successful program that it is today.